EastWest Fir. 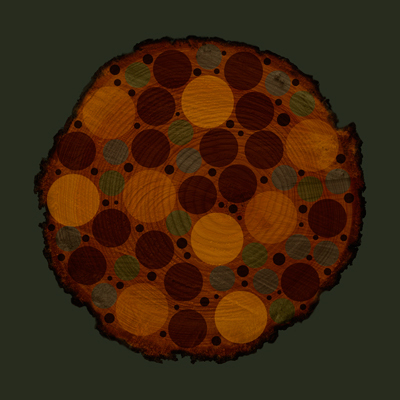 This project consists of three rings, which represent the diameter of old growth Douglas Firs. My aim with this work is to speak to the long-term effects of industrial logging. Siberian Fir. 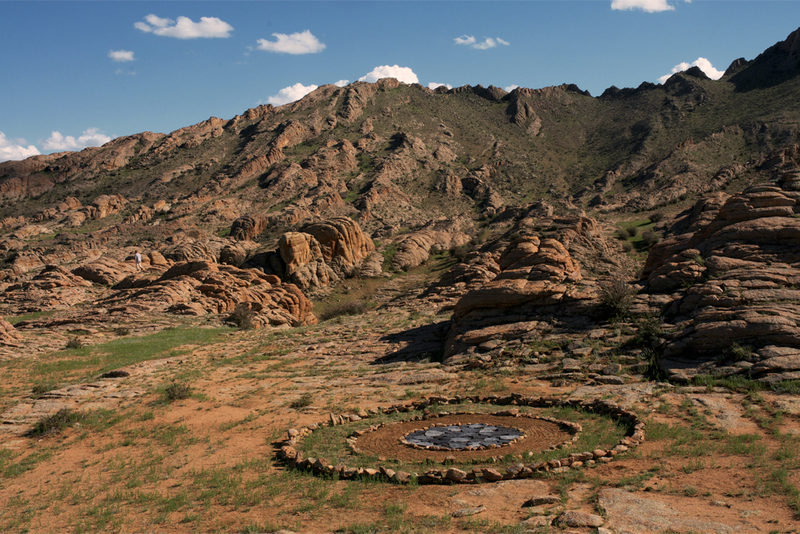 The central ring is filled with circular felt pieces that replicate the diameter of the Siberian Fir tree native to Mongolia. Modern Mongolian Woman Performance. A woman wearing the felt used to make her house stands searching for shelter in the landscape. Modern Mongolian Woman. 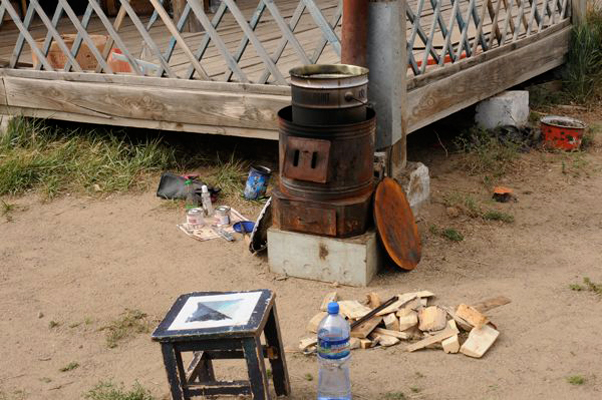 The empty circles cut out of the felt spoke to me about the inevitable modernization of Mongolian life; how the traditional Ger (yurt) is being replaced by modern houses. 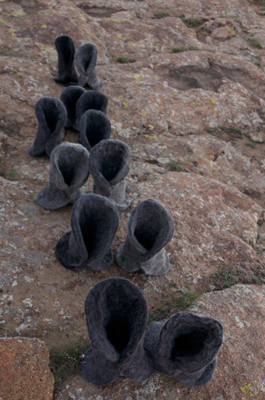 Ghengis Boots. There is a big revival in Ghengis Khan in Mongolia. 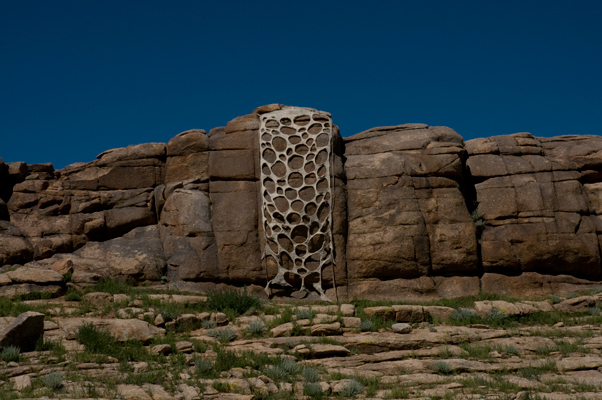 The starkness of the landscape gives a glimpse of the culture. Lines, felt. 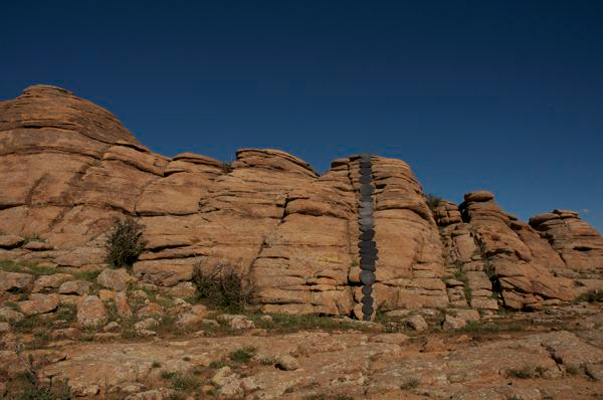 The BAGA GAZRIIN CHULUU area, is known for its rock formations, which are considered holy. Lines, felt (detail). 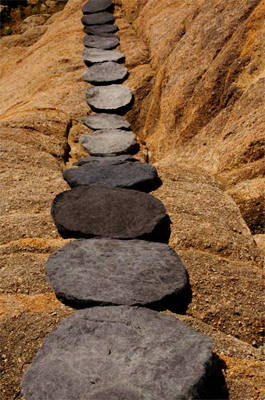 The corse felt clung easily to the rough wind-blown surface of the stone. Dying, black. 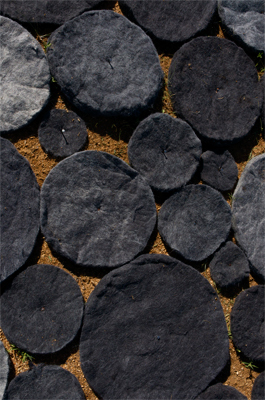 The felt was dyed black in a tin can inserted into a small outdoor wood-burning stove. The felt was had been used previously to cover a yurt. EastWest Fir print. One of 4 digital prints depicting the relationship between the Canadian Douglas Fir and the Mongolian Siberian Fir trees. 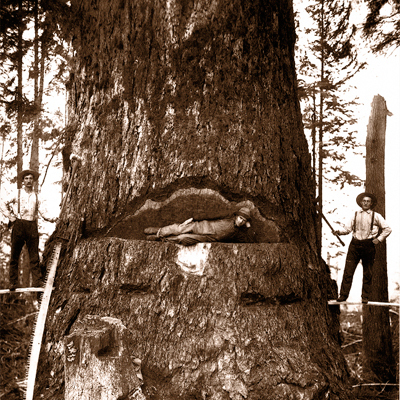 Douglas Fir Loggers. A reminder of the giant forests, which were logged a hundred and fifty years ago when the white man first set eyes on the shores of Vancouver.